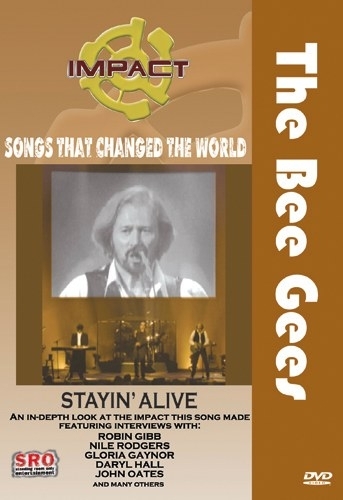 From The Impact Series, Songs That Changed The World - featuring The Bee Gees: Stayin' Alive launched a boogie-down fever which has endured in various guises through the last quarter of the 20th century and into the new millennium. By the mid-70s, dancing was back with a vengeance. 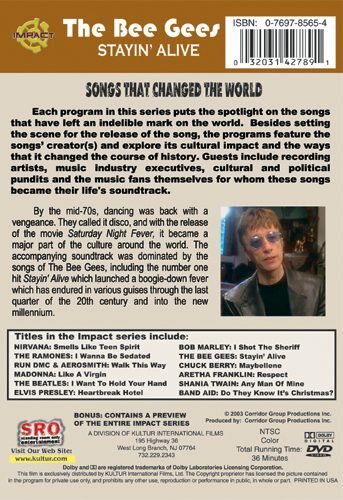 They called it disco, and with the release of the movie Saturday Night Fever starring John Travolta, it became a major part of the culture around the world. The accompanying soundtrack was dominated by the songs of the Bee Gees, including the number one hit Stayin’ Alive.